What a gorgeous day! 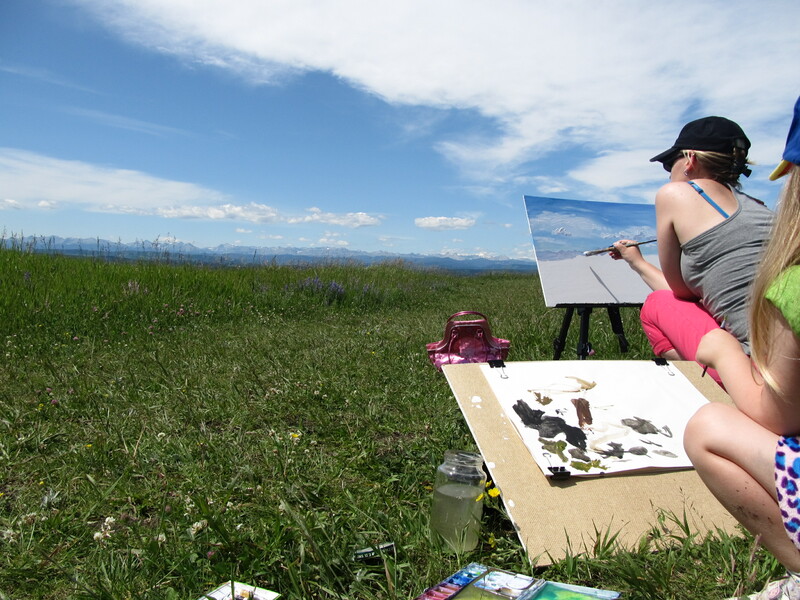 My husband, daughter and I spent two hours out at the Leighton Centre just south of Calgary where I got to do some en plein air painting. 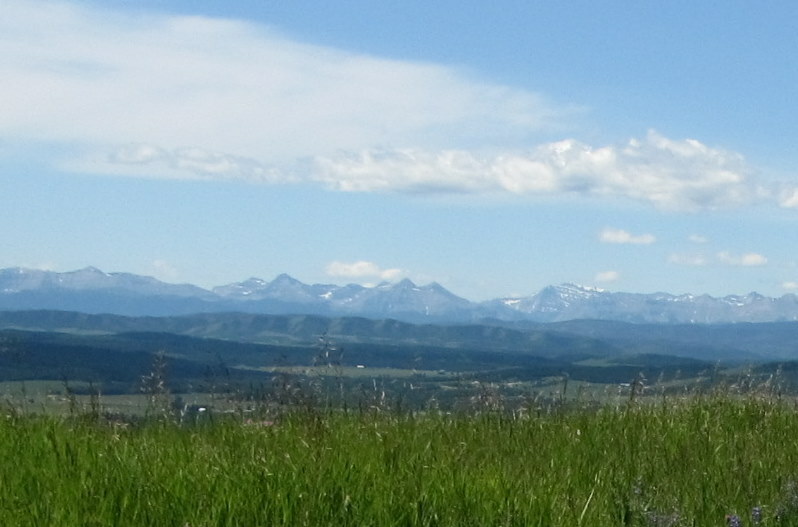 The views out there are just spectacular. 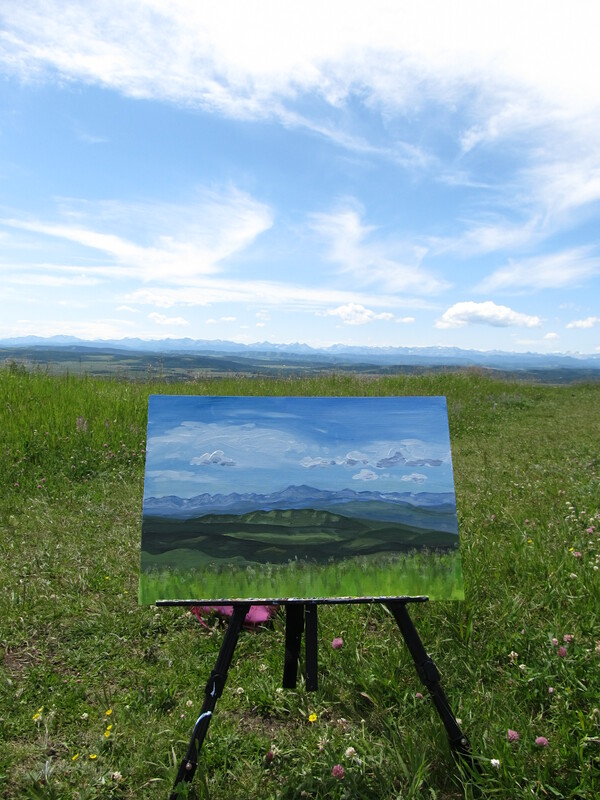 I’m an artist member with the Leighton Centre, but this was the first time I’ve been out there to paint. And what a good painting day it was! ← I’m in a Drawing Club! Ooohh that looks amazing! The mountains are so real. It looks just like I see it when I’m there. Great job! This is the painting I was talking about that was on your top graphic bar. Loove it! Really gorgeous! Thanks Pickle! I’ve got 8 cropped images that rotate randomly for the header. I LOVE that feature with this new layout and I spent WAY too much time cropping images to try out for the header. Lots of fun though and I can change them all the time if I want to.